2016. It changed the world -- and even this blog. As the year 2016 played out, posts from this blog became intermittent and then just dwindled away. I began spending less and less time on social media and even reading other blogs I have always enjoyed. I can place the blame on a number of things. Some have resolved and some are ongoing. I am not sure yet of the future of this blog, but I cannot let the new year begin without a farewell post to 2016. 2016 ... What a year. There were so many moments of 2016 (personally, nationally and internationally) that filled my heart with pride, with fear, with sadness, and ultimately, with hope. It seems as though our world has rotated a bit on her axis, and feels different than it ever has. As we settle into 2017, I am hopeful we can find ways to heal. Our earth needs it, our country needs it; the whole world needs to heal. Even the health of my family had a rough year. I've employed more of my nursing skills in the past six months than I have for a long time. I'm grateful now that my human family members are on the mend, that our dog is walking on all four legs again, and that I have only one week's worth of antibiotics left to shoot down our cat's throat! Blogging is different than any other kind of writing. One thing I've learned over the nearly three-year life of this blog, is that blogging is a very personal thing. 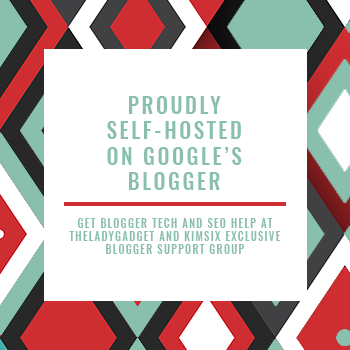 Successful bloggers share a lot about themselves, their families, and their friends online. I have always been a little guarded in this; as a nurse I am trained to highly value confidentiality and after all, I did spend years warning my children against the dangers of the Internet! 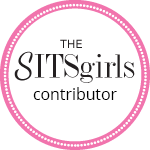 The wonderful connections I have forged with faithful readers and my special blogging friendships have gradually led me to become more comfortable sharing my own stories. I always, however, have felt it important to receive permission before posting anecdotes or photos of other people. Something in my attitude changed again over the course of 2016. My hesitancy to include anything in my blog about other people's health led me to question what actually is appropriate to publish. The nastiness of this American election year has me a little repulsed by social media, especially as many posts on Facebook, Twitter and Instagram seem to have become more egotistical and narcissistic. (You know the ones I mean!) Perhaps the overwhelming, constant onslaught of information that invades my inbox and social media accounts has simply made me weary. In any event, I began to question the value of the words and photos that I publish. All this (as well as various demands on my time) were contributing factors, but my diminished posts in recent months were mostly a result of a muse that disappeared. My writing and creative spark just evaporated for a while. Lately though, I have been missing this blog. I suspect I will return to it in some fashion in 2017. My hope is that I can find a way to fill each post with valuable information, in a warm format that reaches out to readers yet maintains firm boundaries between real and Internet life. Even after writing this, I am hesitant to hit publish. What value does this post really hold? I feel it needed to be written, though - as an explanation and an apology to my long-time readers for my abrupt and unexplained absence. Publishing this today seems necessary to add closure to the past year of sporadic blogging - and to pave the way for future posts. We all have work to do in 2017. I've rarely touched on politics here, but our upcoming American Presidential Inauguration is on practically everyone's mind. I hope we will all resolve to make the world a better, kinder, more tolerant and healthier environment. Our work is cut out for us - but I believe in the human spirit. We can learn from mistakes made throughout history and we can stand up against what is wrong, and we can find ways to educate and guide leaders to the right decisions. Every voice and every positive action counts. Protecting our environment, standing up against intolerance and injustice, and spreading kindness and truth is something we should all strive to do, all of the time. Those repeated actions may be the best way we can all "make the most - - of every moment" of 2017. Happy New Year. Let's make it a good one. Lovely to see you pop up in my reader again. I wish you and yours nothing but health and happiness for the year(s) ahead. And kindness for the world. We need it. "What value does this post really hold?" It lets us all know you are alive and well. 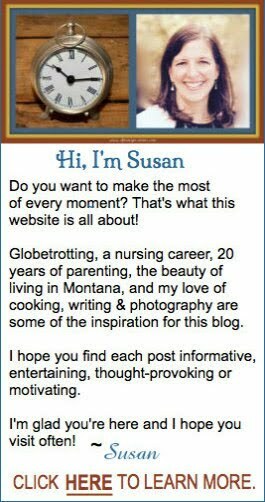 How lovely to have you pop into my inbox, Susan. Your words touched me once again in so many ways. Wishing you and yours the happiest and healthiest of 2017 and I hope we can get together for a catchup. Hello -I read this post while at my sister's on nye via email. I am so glad to hear from you and that you posted on your blog. i do understand - 2016 was rough and I too did not post as much as i have liked to - i hope we both find that muse soon. oh how I wish we can all stand up for what is wrong. I silently pray for all of us each day. Good article.Thank you for providing this wonderful article.It is interesting to view this blog.All the readers may get some useful information from here.The language used here to explain the content is good and simple.All the reader can follow this blog due to this.Visit thesis writing to get more topics.